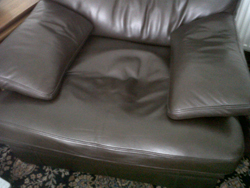 Scottish Upholstery & Leather services are a family run business offering a comprehensive chair recover service for both fabric and leather chairs for customers in Pollok. 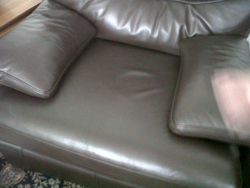 We offer free estimates, competitive quotes and an exceptional level of workmanship carried out by our skilled craftsmen. 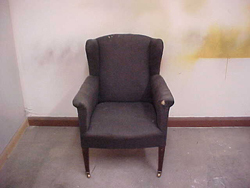 No need to throw out old furniture when our experienced and highly skilled staff can recover your chair and make it look better than new. 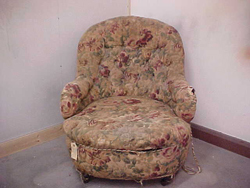 The best thing about chair recover services is that you can keep your favourite chair for years. 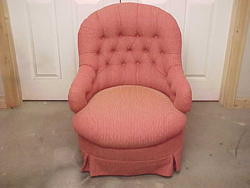 Whether you desire a whole new style or your chair just needs a bit of lift, we can provide an excelled chair recover service. 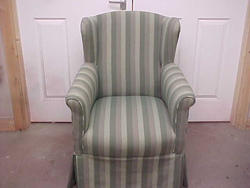 We provide chair recover services and many other upholstery services for fabric and leather furniture all over Pollok and surrounding areas.